Money Markets and Monetary Policy Implementation in Times of Crisis. 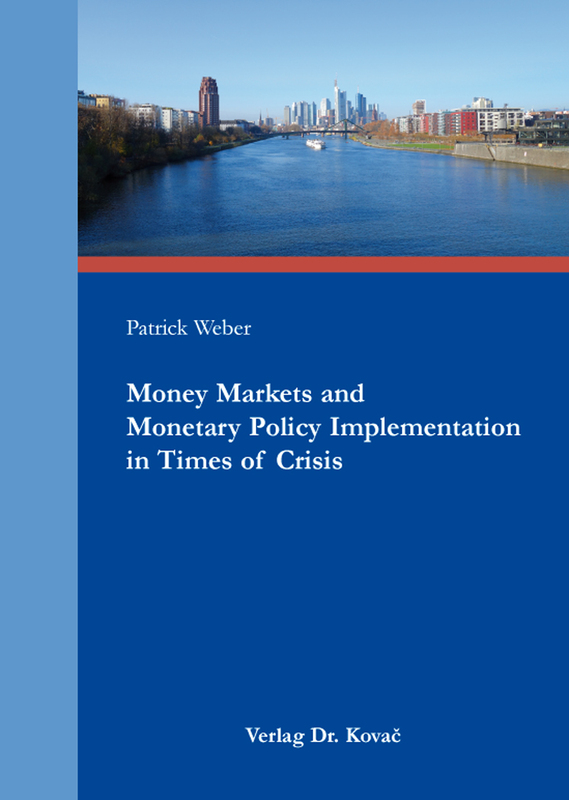 Dissertation von Patrick Weber, Verlag Dr. Kovač 2016, 180 S.
Money markets are the starting point for the transmission of monetary policy and are thus a central component within the financial and economic system. Yet, before August 2007, many central bankers, economists and researchers assumed that these markets work frictionless and empirical research on the functioning of money markets was limited. However, this perception was severely challenged with the onset of the subprime crisis in August 2007 and the collapse of Lehman Brothers in September 2008, when the redistribution of liquidity in the money markets abruptly stopped. Various market imperfections such as banks‘ concerns about funding liquidity risks, adverse selection risks, an interaction between market and funding liquidity, the market power of liquidity-rich banks, and search costs became apparent in the European interbank market. Research on the actual imperfections prevailing in the money markets is, as of today and particularly for the financial crisis period, still very limited for the Euro area. Using very unique data sets supplied by a central bank and one of the largest money market makers, this book – composed of five chapters – provides a novel perspective on the functioning of money markets in the Euro area. Furthermore, it assesses the effectiveness of monetary policy actions to mitigate those imperfections and provides policy recommendations related to the design and implementation of monetary policy and lender-of-the-last-resort (LLR) measures. Additionally, indicators to systematically assess and spot potentially liquidity stressed banks on the micro-prudential level are introduced.